VI SOM ÄLSKADE VARANDRA SÅ MYCKET are a six-piece band collective from Stockholm with current and former members from bands like EPHEMERA, YOUNGTEAM and SPEEDMARKET AVENUE. 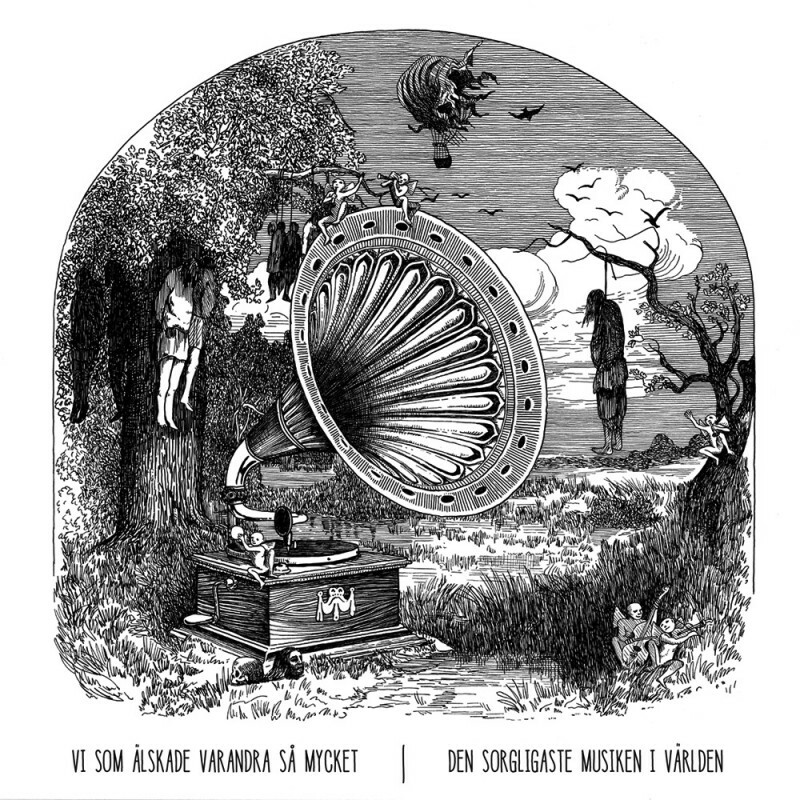 The band exists since 2012 when they recorded and released their very first EP ‘Träd Dör Stående’. The band already began working on their second release in 2013 when Mark Shaw joined them as the third guitar player. Previously Mark has played in scream bands like THE KHAYEMBII COMMUNIQUÉ and SONG OF ZARATHUSTRA that both released records through the label BLOOD OF THE YOUNG RECORDS (USA) in the 1990s. With this background, it was natural that VI SOM ÄLSKADE VARANDRA SÅ MYCKET release their first full length ‘Den Sorgligaste Musiken I Världen’ (‘The Saddest Music on Earth’) through that label. early 2000s and deliver this distinctive sound that only Swedish bands seem to be able to create. One of the trademarks of the band’s debut album is definitely the voice of the singer Arvid that perfectly transmits the emotions and the despair that every single song holds. MOMENT OF COLLAPSE RECORDS are now set to release ‘Den Sorgligaste Musiken I Världen’ for the first time on CD while the band is currently working on the successor to their debut album that will be released through MOMENT OF COLLAPSE RECORDS as well. For fans of PIANOS BECOME THE TEETH, TIDAL SLEEP and LA DISPUTE.